Can Filing for Bankruptcy End a Wage Garnishment? Can My Wages Be Garnished for Unpaid Medical Debts? Individuals with medical debt may find that collection agency calls and falling credit scores are the least of their worries. In states that allow it, hospitals regularly sue for wage garnishments against patients who are unable to pay extremely high medical bills for service. Take for example a Missouri hospital that has filed more than 11,000 lawsuits from 2009 to 2013 against people who did not have the means to pay their medical bills. This allowed the hospital to garnish wages from the paychecks of over 6,000 people, amounting to $12 million skimmed from paychecks. To put this into greater perspective, that is about $2,000 per person! One patient spoke to the press about how her $14,000 bill turned into a $20,000 wage garnishment nightmare when she could not afford payments after a surgery for appendicitis. For the last several years, she has witnessed $20,000 vanish from her paychecks. Interest has further accumulated on her remaining balance, and she has $26,000 left to go until the bill is paid off. Many of the patients sued by the hospital were uninsured and ineligible for financial aid. Patients stuck in this situation are charged the full amount for service and asked to pay a bill many times higher than what an insured patient would pay. Medical bills are not the only type of debt that can lead to wage garnishment. Consumer debt, student loans and unpaid taxes can result in wage garnishments. In some cases, wage garnishments can take years to pay off, and interest from the debt can continue to pile on, adding to the balance. Businesses and individuals trapped by debt do not have to sit idly by and watch their profits or paychecks vanish. Filing for a bankruptcy can eliminate wage garnishments by restructuring debts and ending all collection activity. 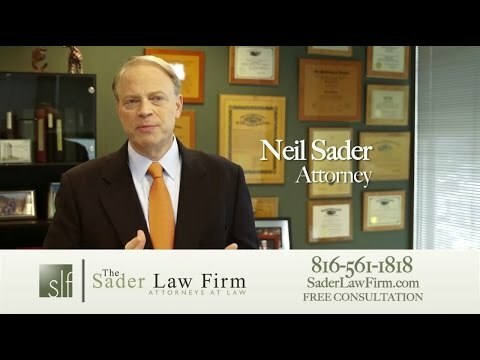 As attorneys with experience helping individuals and businesses in difficult financial situations, The Sader Law Firm encourages our readers to contact us with any questions regarding their case. Did You Know? Unpaid medical bills are the most common reason for bankruptcy, affecting nearly two million people every year in the United States. ← What is a Chapter 11 Bankruptcy, and When Should I File?